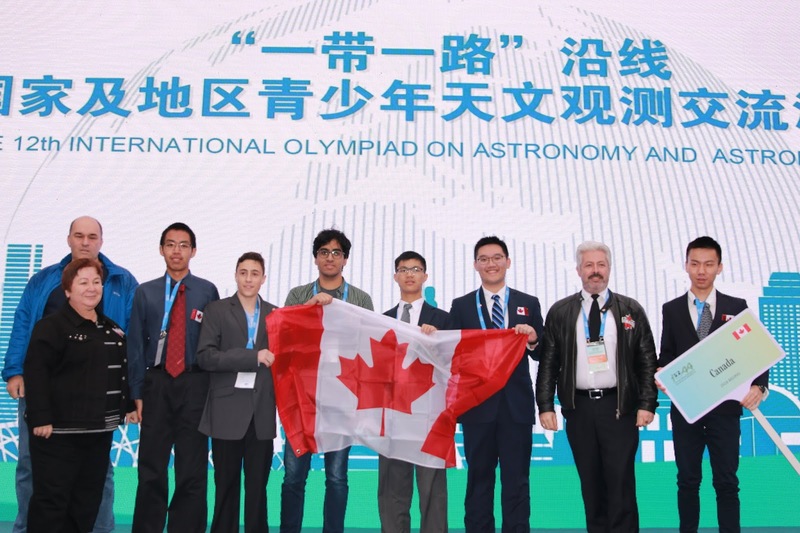 12th International Olympiad on Astronomy and Astrophysics (IOAA) was held in Beijing in November 3-11, 2018. Beijing is a city with more than three thousand years of history, and also a city tightly bonded to Astronomy. In Beijing, the Temple of Sun, the Temple of Moon, the Temple of Heaven, and the Temple of Earth, reflect the deep rooted Chinese philosophy of “Heaven and Man in One”. The Beijing Ancient Observatory by Chang’an Street is one of the most ancient observatory in the world, with the longest historical record of continuous observation. Beijing Planetarium has been indispensable to the communication of astronomical knowledge in China and has become the place of choice for amateur astronomers in China and beyond. Beijing Planetarium is attracting more and more people to learn about astronomy and space. The main venue of the Olympiad was held in Beijing Planetarium. The team was accompanied by leaders: Dr. Vera Zagainova, Konstantin Toubis and Dr.Yuri Khoroshilov. The 12th IOAA was very well organized. All participants were accommodated in excellent hotels. There were many excursions and interesting meetings. All rounds (theoretical, observation, data analysis) and team competition were well organized too. - Felix Yu, Raymond Zhou and Zhening Li received an Honorable Mention! A huge congratulations to Canada’s Astronomy Team!! 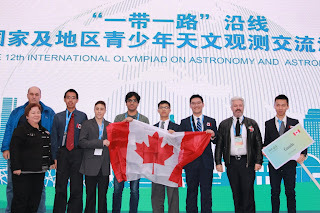 This year, our team travelled all the way to Beijing, China to represent our beatiful country in the 12th International Olympiad on Astronomy and Astrophysics and to compete against 40 other countries. The event was long and challenging, however our team persevered and came out victorious, winning not only 3 honourable mentions, but a Bronze and a Silver medal too! We did amazing this year, and we can’t wait to see our team only get stronger and better in the upcoming years. We will see you next year, winning once more in Hungary!